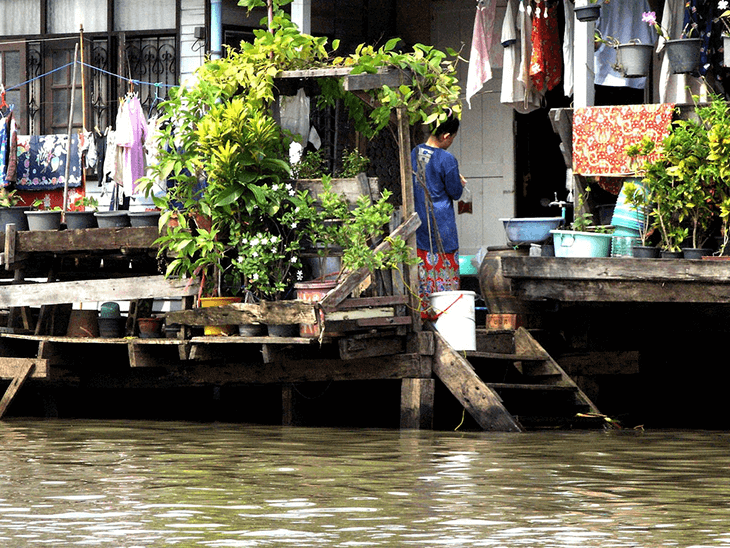 →Top 7 Best Areas to Stay in Bangkok! The great thing about this city, being a capital and all, is that public transport is fast, effective, and easy to use – if you decide to drive however, you may find yourself sat in traffic at certain parts of the day, and you won’t be going anywhere fast! If you’re feeling overwhelmed, luckily for you, here are the best places to stay around Bangkok, cutting out the stress of your hotel decision! These areas all have plentiful hotels to choose from, as well as a wide variety of other attractions to enjoy. Getting around isn’t particularly difficult from any of them, aside from Rattanakosin, which seems to be fairly isolated; having said that, it’s not impossible with a little effort, evident by the huge number of people who choose to base themselves here. Having said that, where to stay really depends on what you’re wanting to do during your time in this fantastic and bright city. 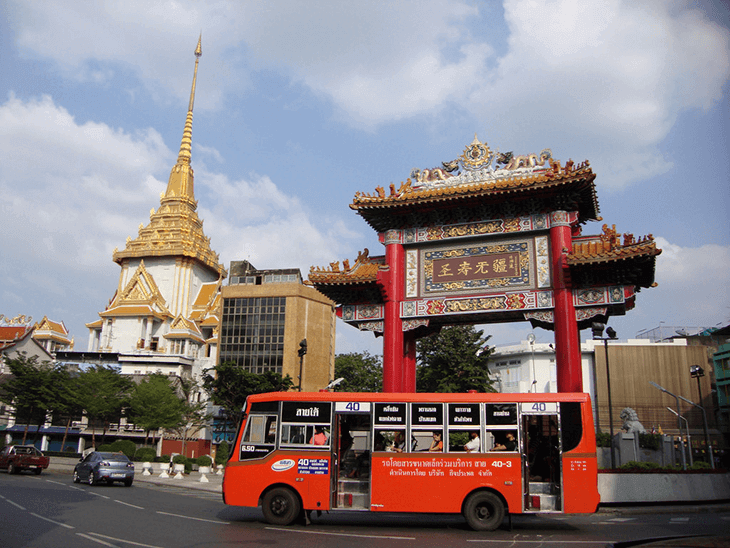 The best area to stay in Bangkok for backpackers might not be the best areas to stay in Bangkok for shopping, and likewise for those visiting for nightlife, or sightseeing. It’s all about location, location, location! Each area is an all-rounder to a degree, but they all have a speciality which they are famous for, and something you should go there to see in particular. Let’s narrow it down by region. This 18km main road is packed with modern amenities, including shopping, nightlife, and restaurants. There is literally something here for every type of visitor, so if you’re looking for the best places to stay around Bangkok for a variety of different reasons, then this is a good all-rounder. Sukhumvit is quite western, although there are nods to authentic Thailand too. You can easily get around by the Skytrain (BTS), however driving is not the best idea because of the huge amount of traffic. Overall however, if you’re looking for the best area to stay in Bangkok for nightlife which isn’t too raucous, this is a great spot. Without a doubt, this is the best area to stay in Bangkok for shopping. There are countless malls here, including the big-hitters, such as Siam Center and Siam Paragon. This is a vibrant area with plentiful tourists around, including an easy to use public transport system. Families will enjoy this particular area, as there is more than enough to do, and plentiful attractions, shopping, restaurants, and also some nightlife. 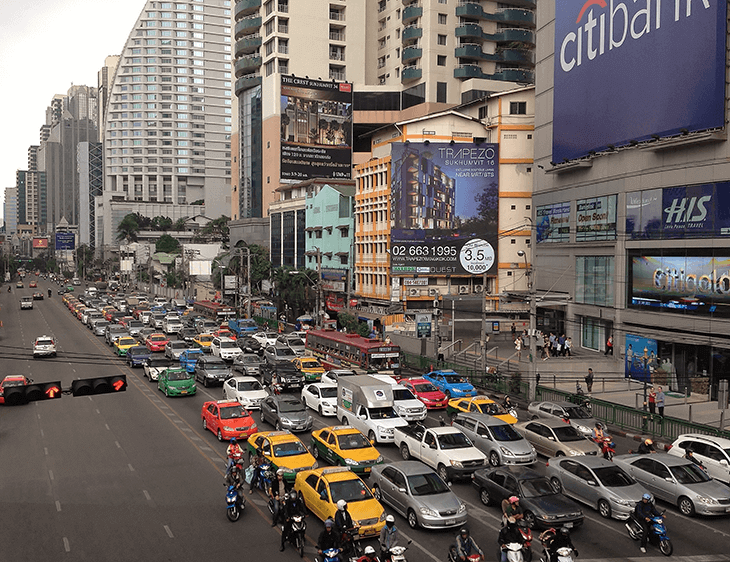 Where to stay in Bangkok obviously varies, as you will have seen, but if you want something which changes with the hours, then Silom is for you. This particular region is busy with business during the day, but then after around 5pm it changes into a nightlife destination. Patpong is located here, which is where the famous Red Light Centre is round, as well as the night market. Some people find this particular area to be lacking in too much authenticity and culture, but for a modern choice, as well as the best area to stay in Bangkok for backpackers, this is a good go-to. The busy 24 hour market is located in the Pratunam region, and there is a lot of bargain shopping to be had, as well as cheap hotels too. Traffic is rather busy and frenetic around here, however the public transport network is linked quite well. Pratunam is a cosmopolitan area, and it has a good mix of tourists, locals, and business people, which makes it a good all-rounder choice. For the best places to stay around Bangkok for something authentic, without being too in your face, this is a good option. 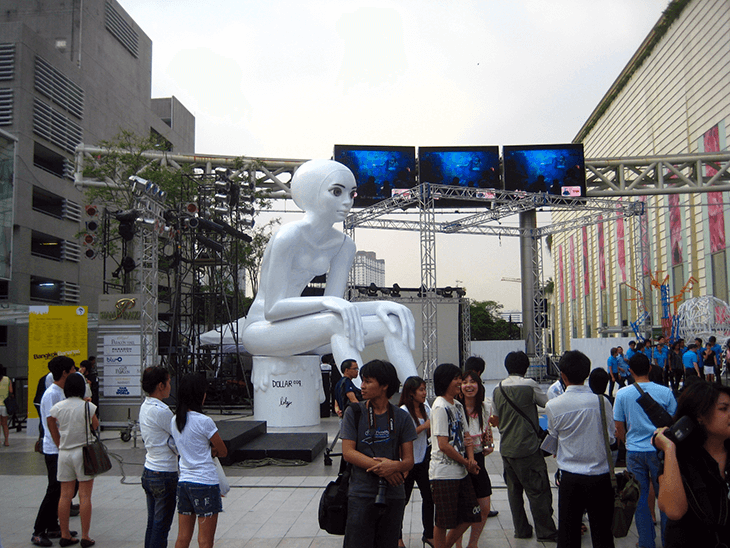 This is the heart of the city, so it is a one of the best areas to stay in Bangkok for tourists and sightseeing. Here you will find temples, palaces, landmarks, and plentiful places to stay which are of a higher star class – on the flipside, you won’t find much in the way of budget accommodation. Visitors will certainly see plenty of daily life. Riverside is a great spot for couples and families, and basically those who want to enjoy themselves in luxury, rather than for backpackers who need a cheaper option. This particular destination is therefore much more of a ‘holiday’ spot than a city neighbourhood. As the name would suggest, Chinatown has an oriental vibe, and it is packed with street food vendors to check out. There is also a very large amount of gold shops to be found in Chinatown, so a great spot for jewellery shopping. Backpackers will find plentiful cheap places to stay here, and it’s a very vibrant and very colourful place to base yourself. For a true Thai experience, and plenty of fantastic photo opportunities. Chinatown certainly ticks the boxes, as well as opportunities to try something new. 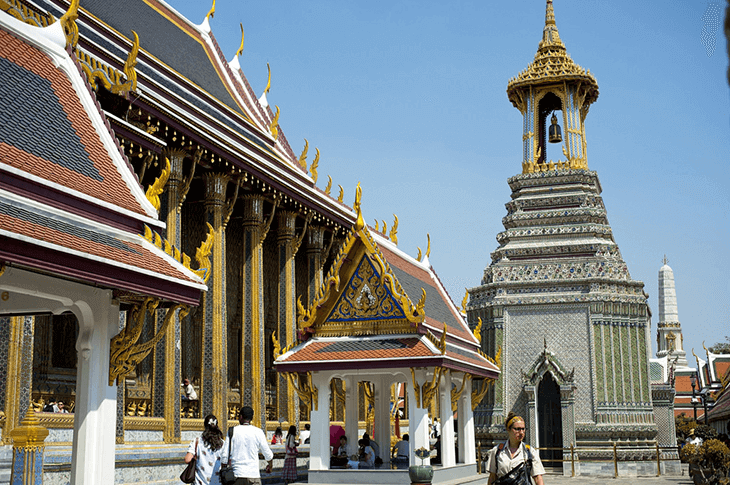 Here you will find some of the most popular landmarks, including The Grand Palace, Wat Phra Kaew, and Wat Pho. Sightseers will love this place, and backpackers are plentiful around here, because of the cheap accommodation on offer. The Old City is packed with spots to check out, but it is harder to get around to other parts of the city from here. Is this a downside? Some would say so, but the major upside is what you will see and experience – sights like these can’t be ignored and they can’t be avoided! Bangkok is a huge city, so it is important to base yourself in the right spot. The above areas should have given you an idea of where to go, and you will also know that you should be shopping around for the best deals before you arrive. Backpackers will find many hostels, especially in the Old City and the Pratunam areas; on the flipside, anyone who wants to live in luxury during their holiday should be heading to Riverside and Sukhumvit. These two places both offer five star hotels with all mod-cons, and Riverside is a great spot for families, as it’s not too far into the nightlife side of the city, and offers a safe amount of middle ground. Chinatown should be visited, even though there aren’t quite as many hotels here as there are in some of the other main regions. This is one of the most iconic and bright areas in Bangkok, and a fantastic place for foodies to visit – if you want to try something new, and you’re feeling a little brave, this is where those weird and wonderful street food combinations can be found, including various delicacies you might not find anywhere else! Siam is certainly the spot for shoppers, in fact the air conditioned malls might feel like a spot of cool heaven after a long, hot day in the city! 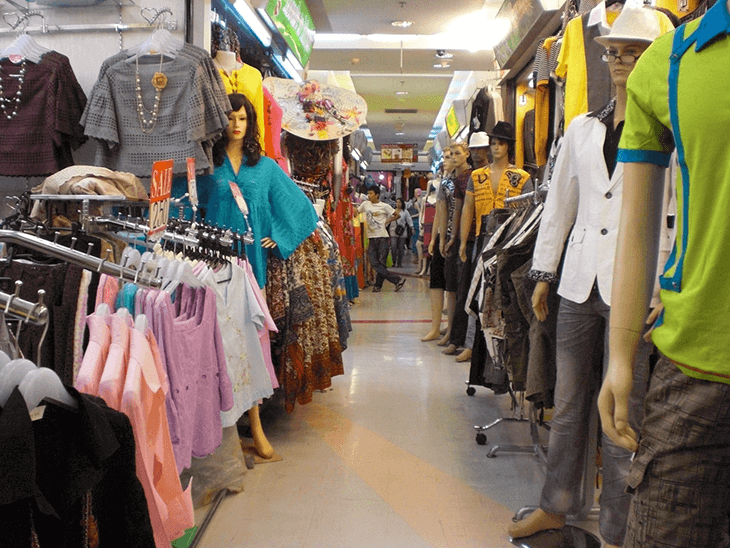 For true bargains however, check out Pratunam, where there are many outlets to grab some bargains. Having said that, there are plentiful stalls and markets in all parts of the city, it’s just a case of how much you want to spend, with Riverside probably having the most expensive retail therapy opportunities. For authentic Thailand however, especially authentic Bangkok, it has to be Rattanakosin. The Old City has more sightseeing opportunities than anywhere else, and there are some of the most iconic buildings here compared to anywhere else. The fact that it is a little harder to get from here to the other areas shouldn’t put anyone off visiting this most magical part of the city, because this is where you will get the most in the way of authenticity. The budget accommodation to be found here is another major reason why you will see countless backpackers staying here. Wherever you choose to stay, and whether you’re on a flying visit en-route to one of the Thai paradise islands, or basing yourself in the capital overall, doing your research ahead of time in terms of where to stay in Bangkok is something every visitor needs to do – don’t cut corners and end up somewhere far away from the main reason for your visit!